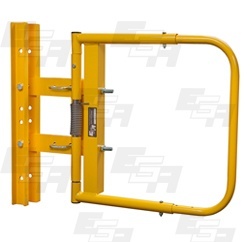 Self-closing gates from EGA Products are an easy and affordable way to enclose openings that employees regularly pass through during the workday. These OSHA-compliant industrial swing gates are adjustable and built to adapt to different sized railways and platform openings. Our narrow gates can be adjusted for 16-20 inch openings, while our wider gates can be adjusted to fit anywhere between 24-40 inches. 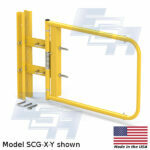 For every warehouse, personnel and equipment safety should be a primary concern. 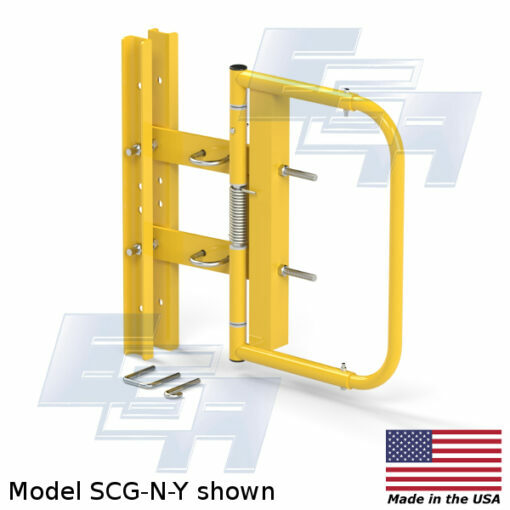 Our self-closing gates provide an effective fall protection solution that reduces the risk associated with hazardous ladder and platform access points. Depending on your preference, EGA’s selection of industrial swing gates are available in a yellow powder coat, hot-dipped galvanized steel, or general stainless steel, all of which are durable and built to last through rigorous, constant use. Our swing gates open a full 90 degrees for optimal accessibility and are available in single or double packages to fit your needs and opening specifications. 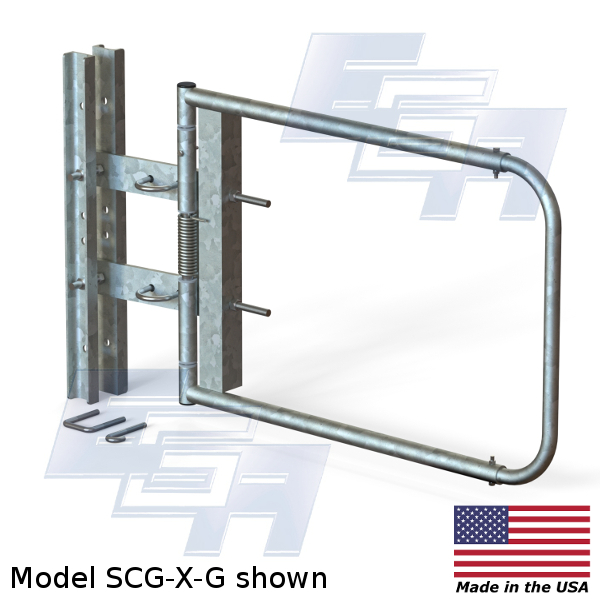 All our industrial and ladder swing gate models are self-closing with a heavy duty stainless steel spring that locks the gate to prevent unnecessary mishaps. 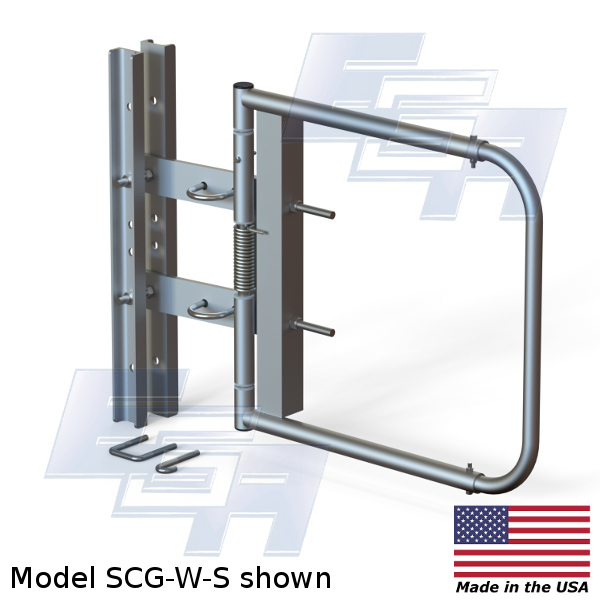 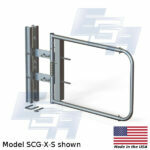 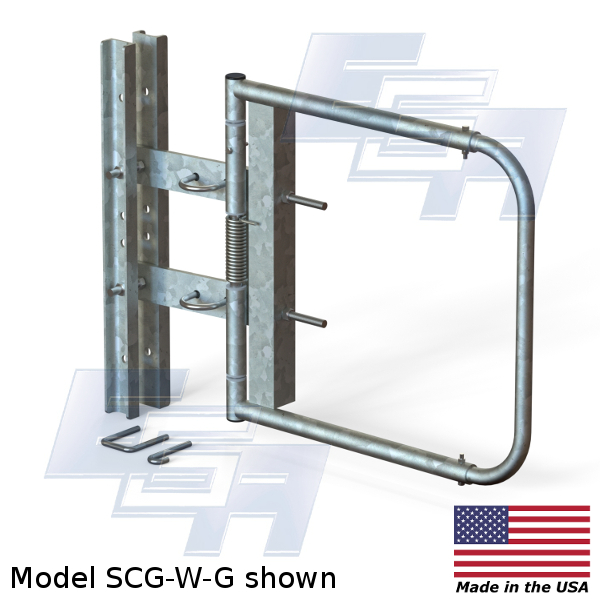 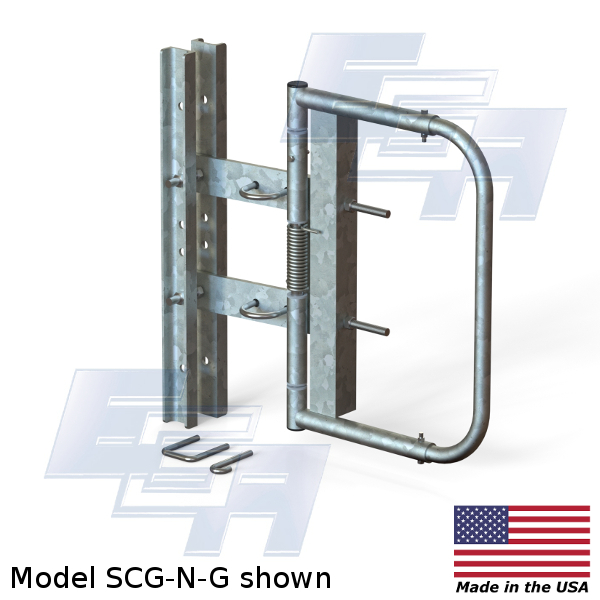 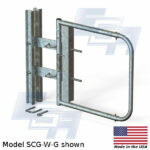 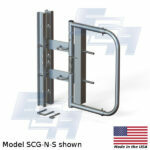 Hardware for multiple mounting options is included with each gate, including deck and side mounting if necessary. 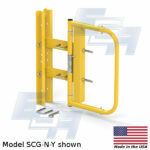 They bolt easily to railings, handrails, ladders, walls and more. 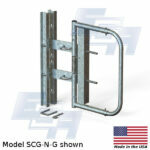 EGA self-closing gates improve production and ensure your manufacturing process runs at peak efficiency through a simple design that caters to all handrails and mezzanine rail systems. 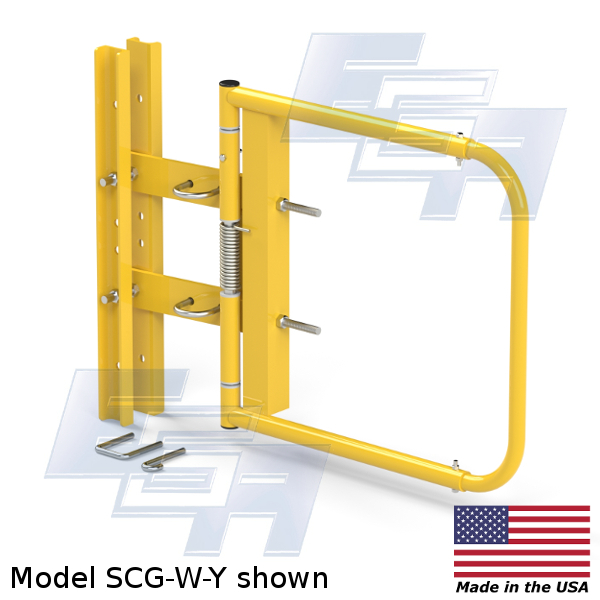 Check out our guide to help you select an ideal swing gate for your warehouse or call EGA at 262-781-7899 and request a quote to get your custom designed self-closing swing gate today!